One of the things that makes the Bald Explorer programmes different to many of the videos you find on the internet is the computer Graphic images that are created for each episode. These help to illustrate perhaps, as an artists impression, what buildings and places might have been like in the period of the story being explored. They are the most time consuming part I would say of the post production process. 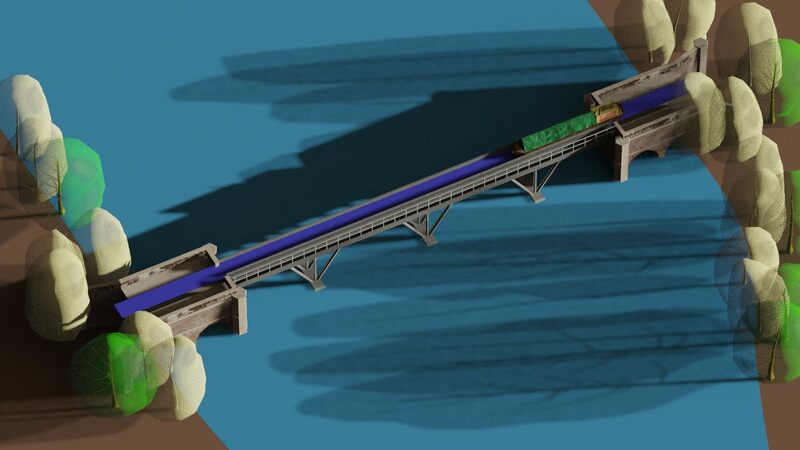 Each graphic has to be researched from resource material, either from libraries, books or via the internet and then brought into a 3D computer animation package. Once the basic models are constructed, they under go the texture process, or if you like, skinning to make them look fairly realistic. I do not try to make them photo real, however, due to the limitations of my experience and the amount of rending time each individual frame would take to complete. I add a basic lighting rig to the CG models and give the 3D camera filming the sequence a little movement to make the video clip more interest. Ditherington Flax Mill in Shrewsbury. 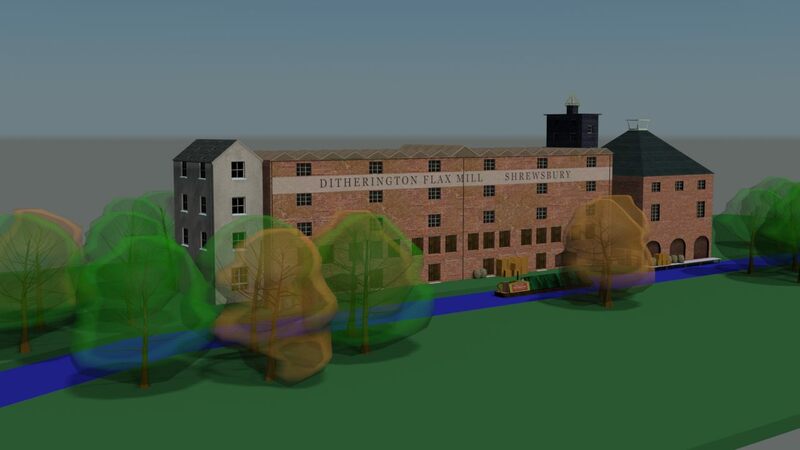 In the forthcoming episode about the abandoned Shrewsbury Canal, I have built some of the major elements of the old navigation and the landmarks along the way, including the Ditherington Flax Mill. This was the grand daddy of the Skyscraper, because it was the first building in the world to make use of an iron frame internally. It is currently undergoing renovation and is inaccessible to film adequately and this where a CG model comes in handy. 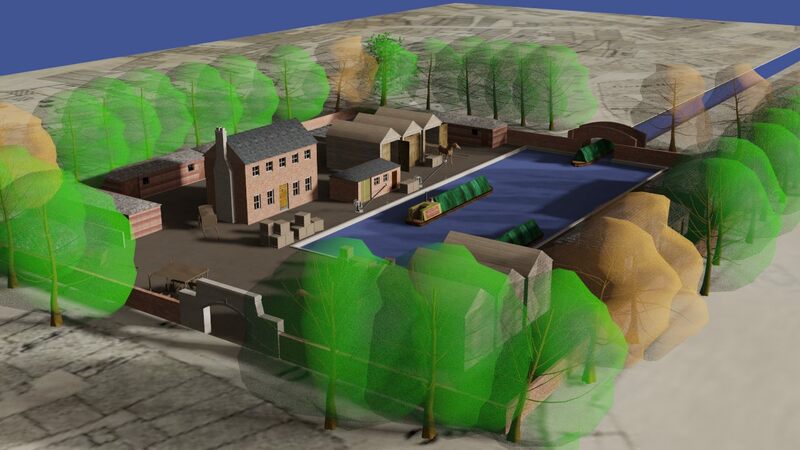 The canal can be added to show how it would have approached the site. The Longdon-on-Tern Aqueduct is another structure that we visit in the programme.. Thomas Telford was involved in its creation. It is the oldest surviving iron aqueduct in the world and is what inspired Telford to go on and create on of the canal wonders of the world, the famous Pontcysyllte aqueduct, in Wales. It is no longer in water and lies almost forlorn in a farmers field. With computer animation we can put the water back in and have a narrowboat cross it again, as they once did a couple of hundred years ago.